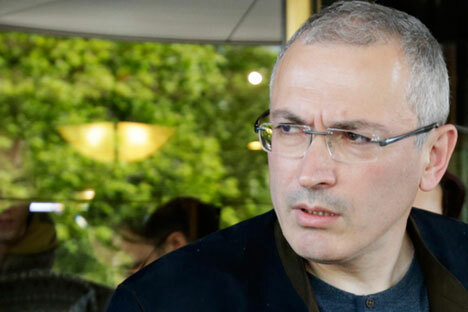 Former head of Yukos oil company Mikhail Khodorkovsky has said that he has not broken the promise to stick only to family affairs after release from jail, but is now forced to get involved in politics, even though he is not interested in them. "I made a commitment not to take part in political life, but to deal with family affairs, during the time that was given to me by the decision of [President Vladimir] Putin [on pardoning] and stood by it. I needed that time because my mother was in grave condition and, unfortunately, she left us in August, over year ago," Khodorkovsky said while answering questions from journalists during a videoconference on Dec. 9. Since then, he "has no commitments," Khodorkovsky said. "My term ended in August [of] the same year," he said. "I truly said and continue saying that I am not interested in getting involved in politics. That is not my interest. I have other interests in life. Unfortunately, the situation is such that the majority of professional people who engaged in politics in the opposition cannot perform this function. As a citizen of Russia, I cannot remain a simple onlooker of everything that is happening in my country either," he said. "Therefore, I deal with what doesn't interest me and what is not to my liking," Khodorkovsky added.